i had waited to see if there are any new findings for aftermarket amp installation products that integrate the amps with the stock head units. i went down to my local shop and i talked to the owner there, mike. he told me what might work with our cars. its a product that i had sort of an idea that would work. he is going to contact them and find out more if there is a way to make their product work with our cars. it will basically let us cut out the stock amp and hook up a direct line with a flat signal from the head unit to the aftermarket amp. no splicing but just plug n play. i saw the unit today and they look nice. it would make things very clean and easy to install if it works. its not the hardware thats the problem but the software. 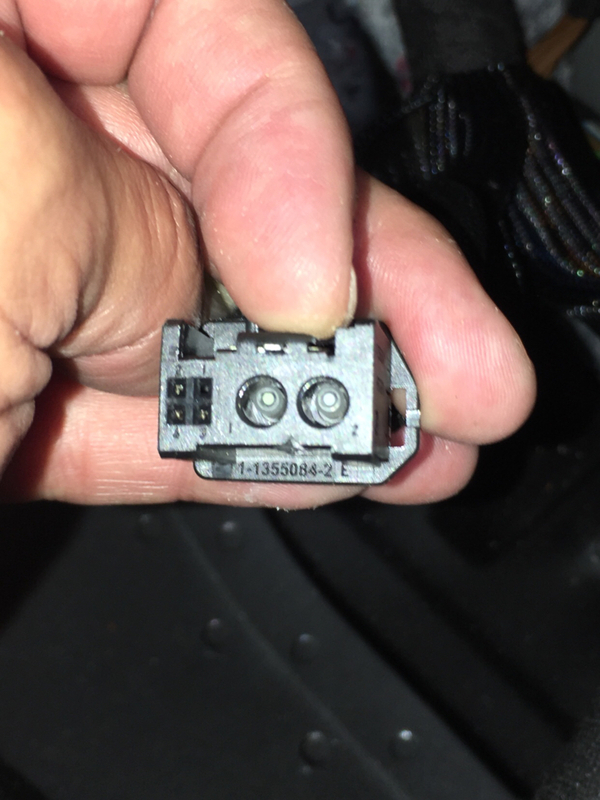 the hardware itself is already available for cars with fiber optic connections but the S3 is still new and no one seems to have the software to integrate everything yet. the products are from mobridge and audison. what he said is that mobridge makes the software for both of them. essentially the audison is a re-brand of mobridge. the audison does however convert out to a tosslink line and the mobridge has a few units but one will send out 8 sets of RCA. thats the one im interested in. i should get an answer with in the week. i am hopeful and excited. Whats the RMS on those? those have no amp power on their own. its just to decode and go from digital to analog RCA signals so we can hook up amps directly. i saw these units and was able to touch them. they are so awesome if they work. if they do the s3 i have will sound freaken awesome. all the speakers will be amplified. plus i can add a sub with a flat strong signal. the signal will be a strong CD quality output. so i got some more help from someone who knows a more about mobridge and audi. here is the info i have about it which is very good for us. I don't have an S3, but I have a fair bit of experience with both the DA1 and the DA3 in my Audis (S4 and SQ5). Do you have a Bang & Olufsen system in you vehicle? If so, then yes, it will absolutely work. If not, then it probably will still work, but in a roundabout way. Please give a bit more detail on what you have. Typically, Audi will mount the amplifier in the trunk, right behind the driver's side rear wheel. As mentioned; If you have the factory B&O system, then it WILL work. The mObridge unit replaces the B&O amplifier in the trunk (behind the driver's side wheel). The MMI system, from around 2005 through 2015 was universal through Audi vehicles. It got upgraded (mainly through software) over the years, and had a few harware upgrades, but nothing major. Just because the S3 is not listed on their website, doesn't mean it won't work... the SQ5 isn't listed either, and it works fine. The RS7 isn't listed, and it works fine. The MMI (MOST) system is universal throughout all Audi vehicles. If you have a B&O factory system, then you have MOST. If you have MOST, then the mObridge will work. Does yours look like like this? i also found this guy who installed a subwoofer in the rear deck. now if he had installed the mobridge he wouldnt need to tap the rear sub wires. which is not the best way to get this to work. its best to get a flat signal not a modified signal and try to boost it. the sound quality will suffer if you compare them. the install seems like it would be fun and i do feel its worth the sub upgrade. i would recommend upgrading all the speakers as well to get some nice sound and since your already in there. but doing it slowly is also the fun part. personally i would have used a flat/slim subwoofer driver. unless your into this version he has going but i need my trunk still and the output with the new slim/shallow subs are really good! another guy doing a custom rear subwoofer install. i like the custom rear brace/bracket. it should enhance the bass resonance and hold the subwoofer much better. fyi, he is installing it in an A4 but its still an audi and the main idea is still the same. i like the way his mission statement is as he said in one of the videos. he makes it so it looks like oem. thats what i do as well when i do any custom installs for myself. so as of a few days ago Mobridge has competition. NAV-TV has just brought to market their verison "ZEN-V". the main difference i see is that the Zen-V has our audi S3 listed as a compatible car that it will work with. the price is also another difference as i have not delved into either unit for further comparison. here are articles about it. NAV-TV announced a new ZEN-V advanced amplifier interface for Audi, Porsche and Bentley vehicles with MOST 150.
here is a link to order it. but with their info, it is doing exactly what i want it to do. 1. give me a flat output signal for any aftermarket amps i plan to add of my choice. 2. its all plug and play and no wire cutting into the stock harness. means it clean with the ability to revert back to stock with no fuss..
3. supplies a remote power for the new amps. 4. keeps all the stock controls and other stock features there. this is why you dont want to upgrade with just a DSP unit. getting the navtv is really a necessity and not an option. here is a reason but the presenter is using something else which doesnt work on the S3 but will give you an explanation. we just need to use the navtv for our cars. the zen-v just dropped in price to $749.00. as of today. not sure if its a mistake or permanent tho.